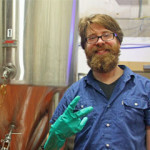 We’ll be unveiling the first Great North beer designed and brewed by our Assistant Brewer, Ryan Moher. “Moher Hops” (get it?) is a big American IPA clocking in at 7.65% ABV. Using a blend of both old-school (Cascade) and new-school (Citra and Simcoe) hops, Ryan created a delicious, aromatic, and sneaky smooth IPA. This batch was brewed on the SBS (a.k.a “small brew system”) so we have a limited amount that will be available in the tasting room in 4 oz samples and pints only. Come in for a taste and let us know what you think! Thanks to everyone who came out for our first cask tapping on Jan 22nd. We were humbled to see the cask of Chocolate Milk Stout with cold brewed coffee from Wayfarer Coffee Roasters disappear in less than 2 hours! We had such a fun time that we decided to fill the cask again. This time we started with RP-no-V (that’s what we call RVP without the vanilla) and aged it on rye whiskey oak. We’ll be tapping this cask on Friday, Feb 11th at 3:00 pm, and once it’s gone, it’s gone! 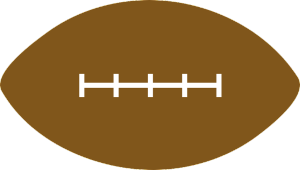 For your game day needs, the tasting room will be open from 1:00 – 5:00 on Sunday, February 7th. Come on by and relax a little before the game & get a growler fill or 6 pack to go! 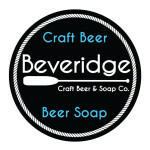 Great North Aleworks is thrilled to be participating in the 2nd Annual Beveridge Ice Fest on February 13th from Noon to 3:00 in support of End 68 Hours of Hunger. 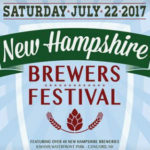 Ryan and Joseph will be out on the ice pouring our brews along with 36 other breweries. Swing by our table and grab one of our beanies for the special price of $10 and keep your head warm. 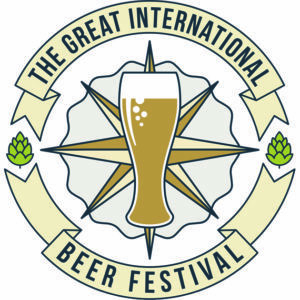 Buy your tickets for the fest here. 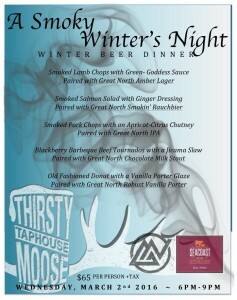 Join us at the Thirsty Moose in Dover on March 2nd for A Smoky Winter’s Night Beer Dinner. The chef has put together a menu that is sure to make your mouth water. Call or visit the Thirsty Moose in Dover to get your tickets (603) 842-5229. 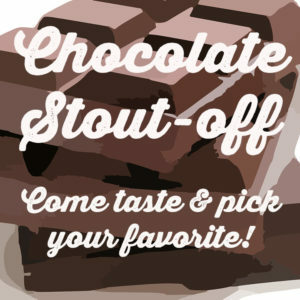 Many of you stopped by our tasting room in November and December to vote in the Chocolate Stout-Off to help us choose the winning recipe for our official release. 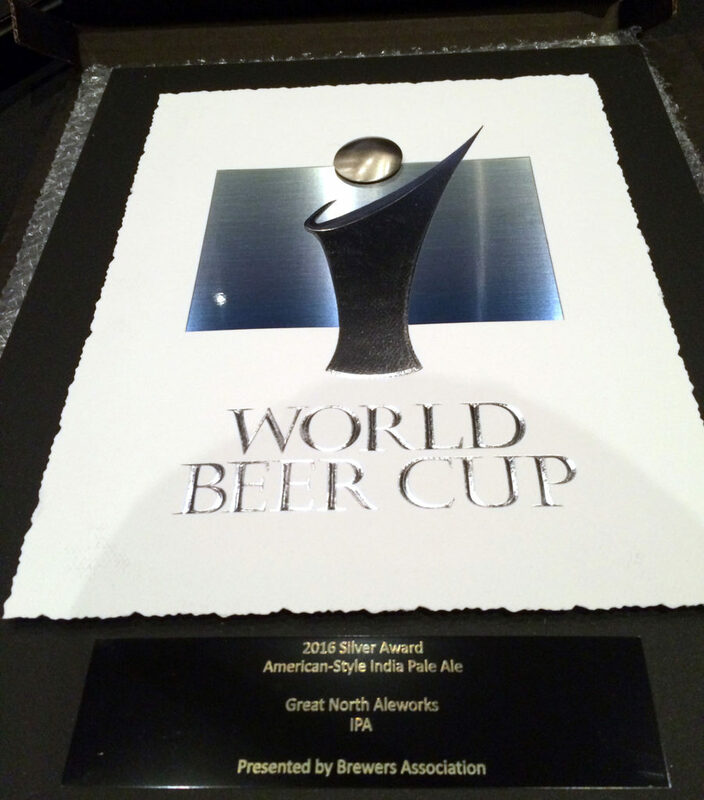 Well, the winning recipe has been brewed and it tastes great! 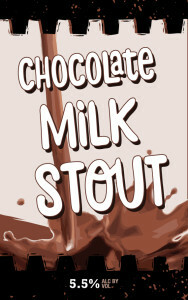 Chocolate Milk Stout is now available in our tasting room by the sample glass, pint, growler, and keg. 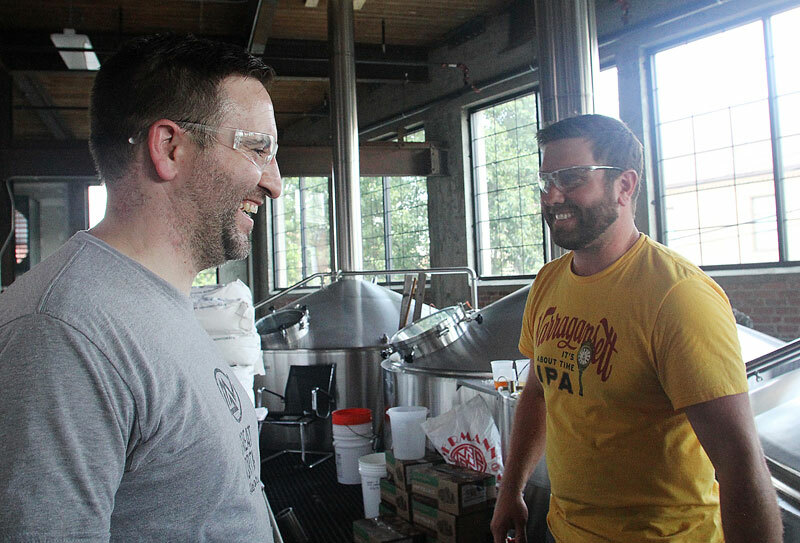 You’ll also start to find it on tap at restaurants and bars throughout New Hampshire. In addition, we prepared a very limited quantity of Nitro Chocolate Milk Stout kegs. The nitro makes for a super smooth and creamy body, plus who doesn’t like to watch a cascading pint of beer! At the tasting room we have the Nitro version available by the sample glass or pint, as well as the carbonated version best suited for growler fills. Raise a Glass & Cash! Join us in the tasting room on Thursdays from 3-7 p.m. to help raise funds for local non-profits, charities, and fundraising efforts. For every pint, flight, growler, and 6-pack sold, we will donate $1 to a selected cause. 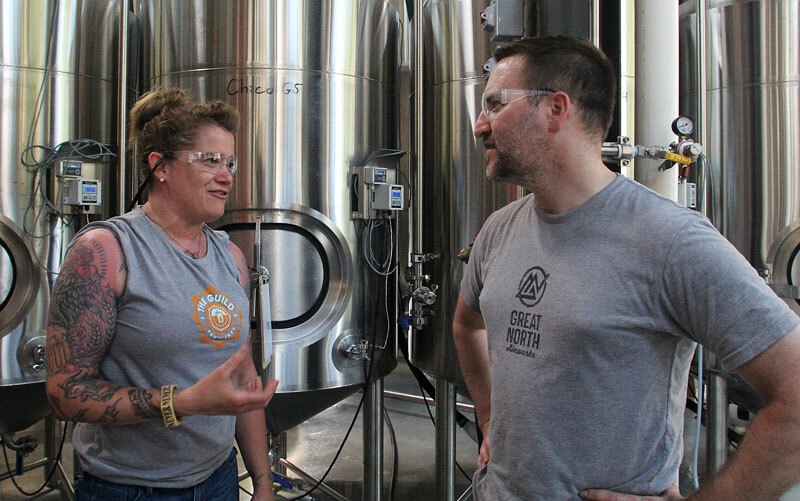 If you are involved with a non-profit, charity, or fundraising effort that is looking to raise funds, contact us at info@greatnorthaleworks.com. Please note that while we will review all requests, we may not be able to accommodate all. Special Release cask tapping this Friday! 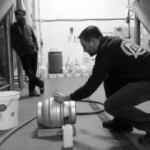 We’ll be tapping our first cask this Friday, January 22nd, at 3:00 p.m at the tasting room. 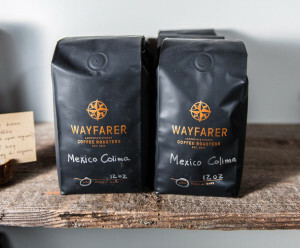 We’ve pumped up our Chocolate Milk Stout with some amazing cold brewed coffee roasted by our friends at Wayfarer Coffee Roasters in Laconia – think Mocha Java Milk Stout! We’ll be serving this special release in sample glasses and pints only (sorry, no growlers), and when it’s gone, it’s gone! 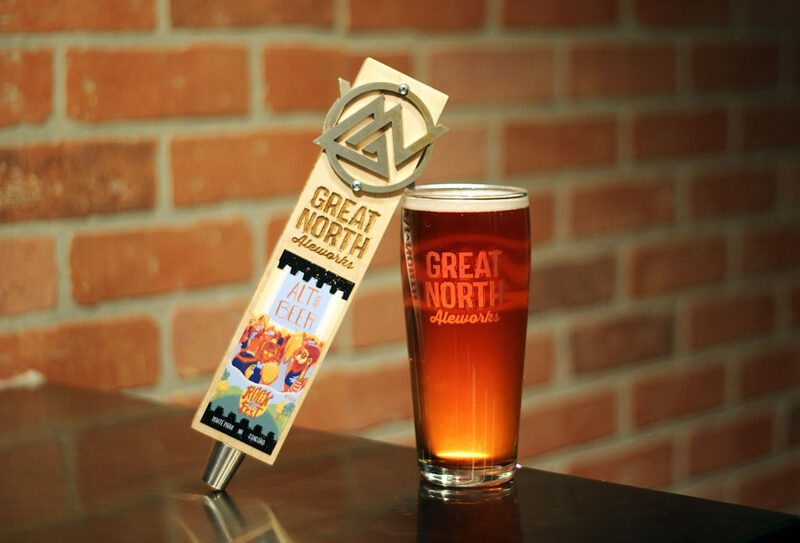 If you are planning on stopping by for a growler fill on Wednesday (and don’t have time to hang out), send us an email at info@greatnorthaleworks.com with your name, growler size (32 or 64 oz), and the specific liquid (IPA, RVP, Smokin’, Cranberry Wit, Amber Lager), we will do our best to have it ready for you when you come by. 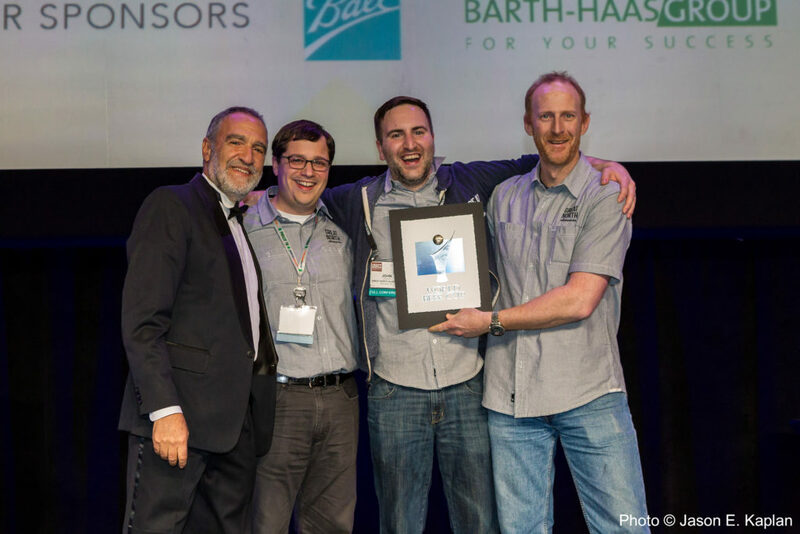 The winning recipe from Week 3 will be brewed and released around the first of the year. As with all of our seasonals this year, Chocolate Stout will be a draft only release. Growlers will be available at our tasting room. Stop by the tasting room on Friday, November 27th to take advantage of our Black Friday Sale. 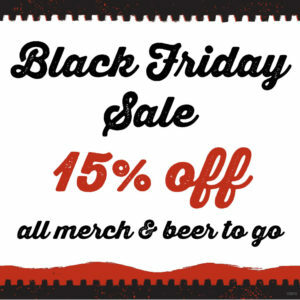 We’ll be offering 15% off purchases of all merchandise in our retail store and beer to go (growlers, 6-packs, and kegs). Note, discount does not apply to keg deposits or purchase of gift cards. 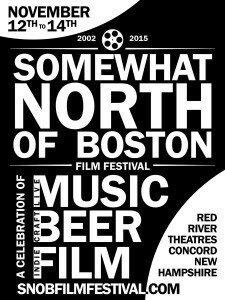 The 14th annual (SNOB) Film Festival (SNOB = Somewhat North Of Boston) will run from November 12th through 15th at the Red River Theaters in Concord, NH. 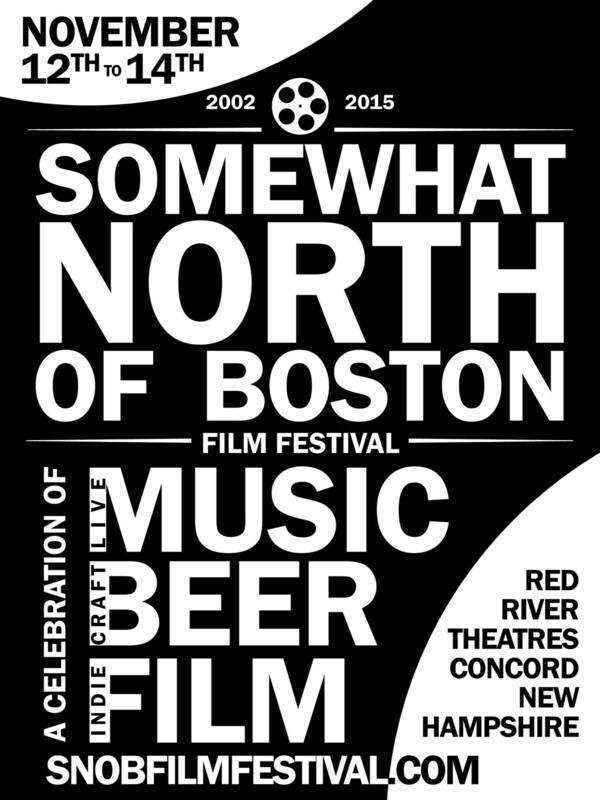 SNOB is all about independent film, music, and craft beer! 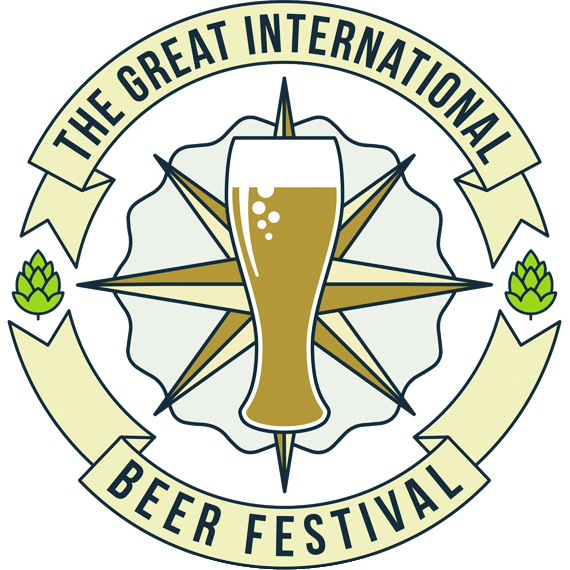 Great North Aleworks is thrilled to be participating this year by brewing the the official beer of the festival – we call it SNOBier! 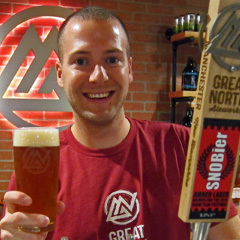 SNOBier is an amber lager (yes, Great North Aleworks has brewed it’s first lager!) that was designed by John Cataldo, our Quality Control & Assurance Manager – it’s his take on a German-style Festbier. 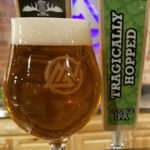 The beer is amber in color and is lightly hopped, resulting in a bready and honey-like flavor that comes from a blend of malts used in the brew. You’ll be able to find SNOBier throughout on tap throughout NH, as well as in our tasting room.